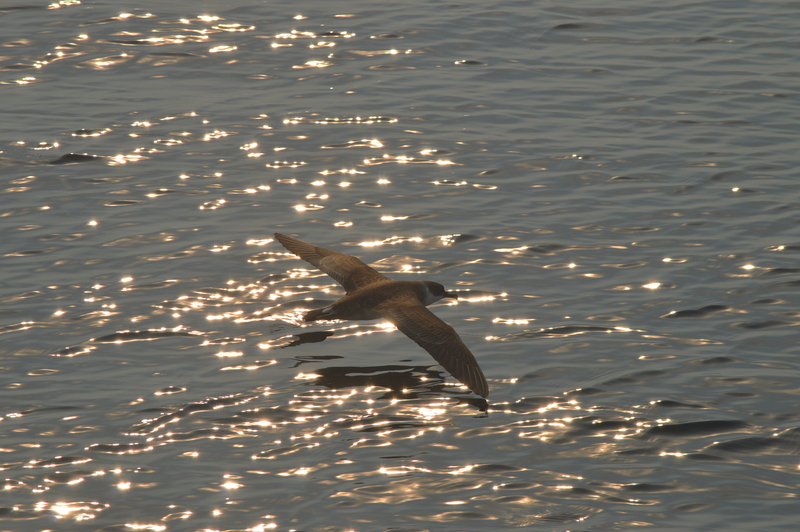 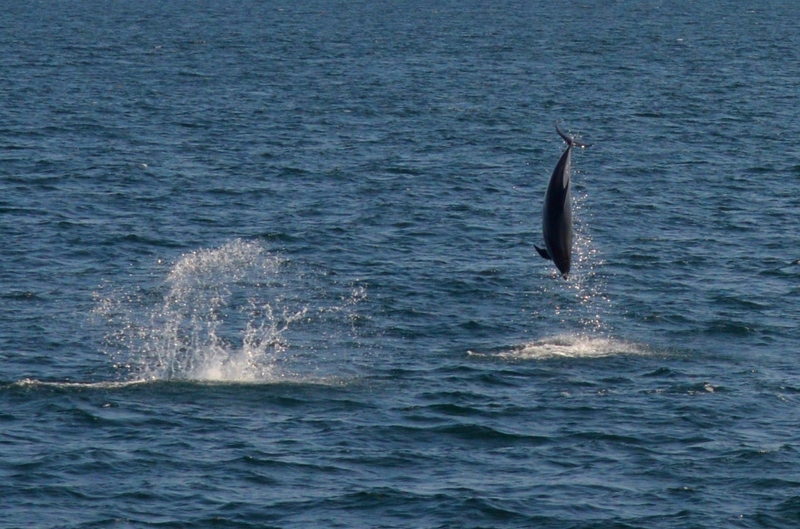 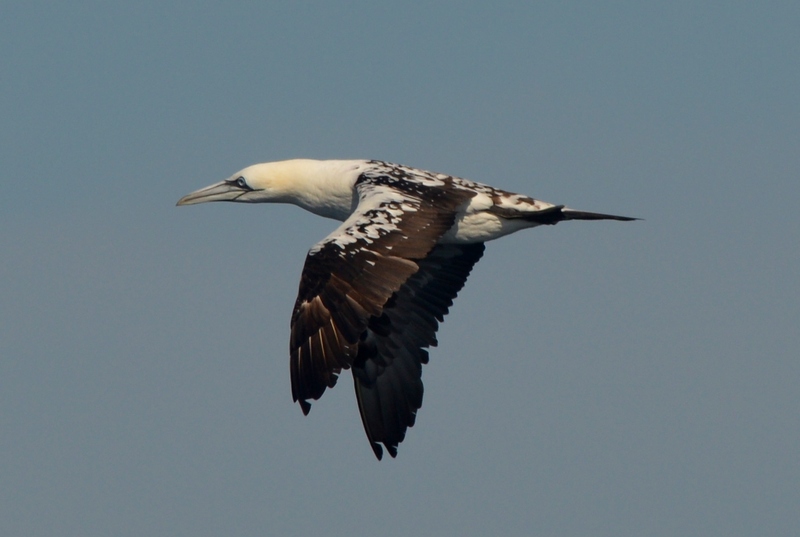 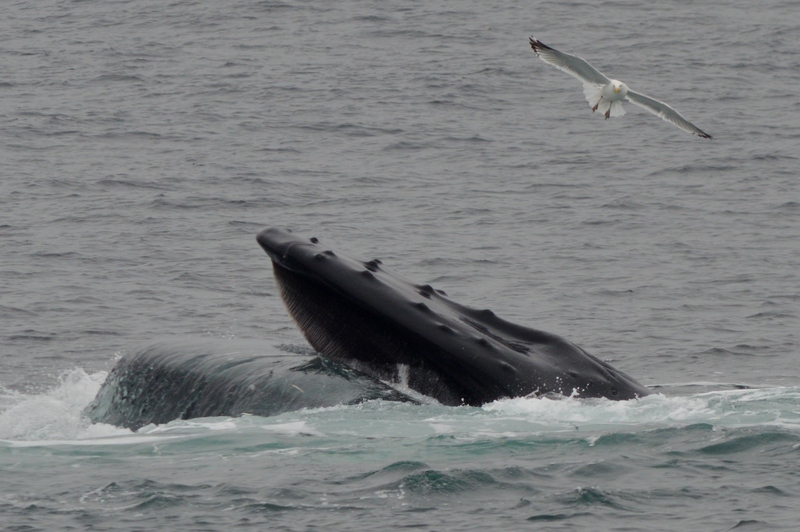 It has been another great week for sightings. 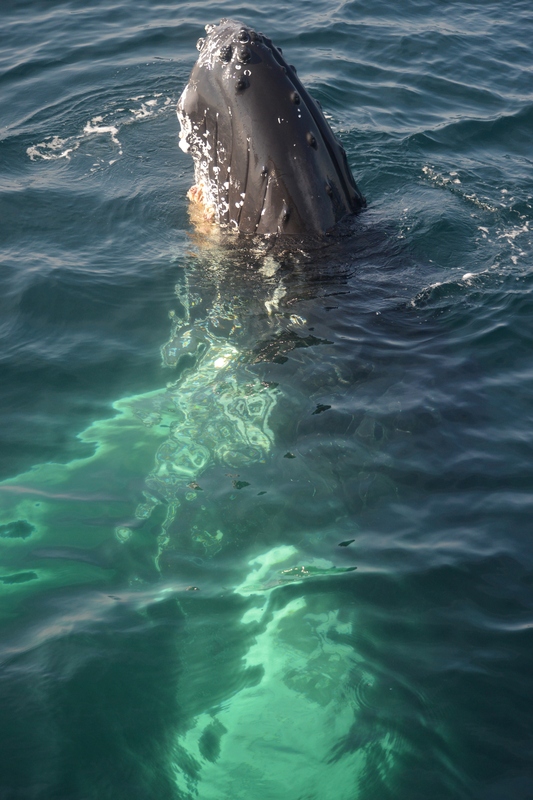 We have spent each trip covering different areas of Stellwagen Bank, and have had some amazing experiences with these whales. 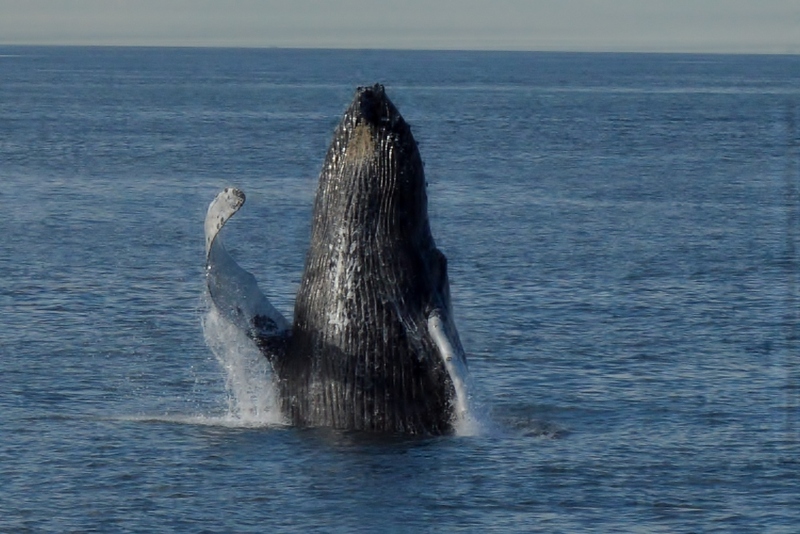 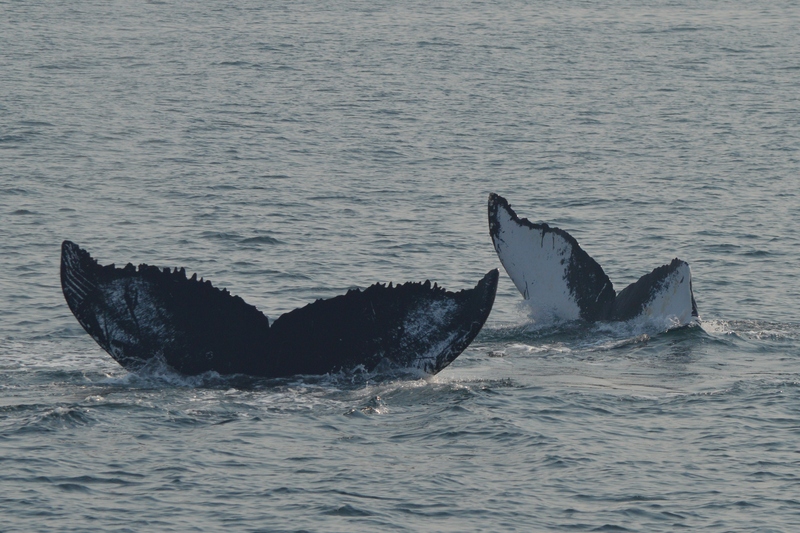 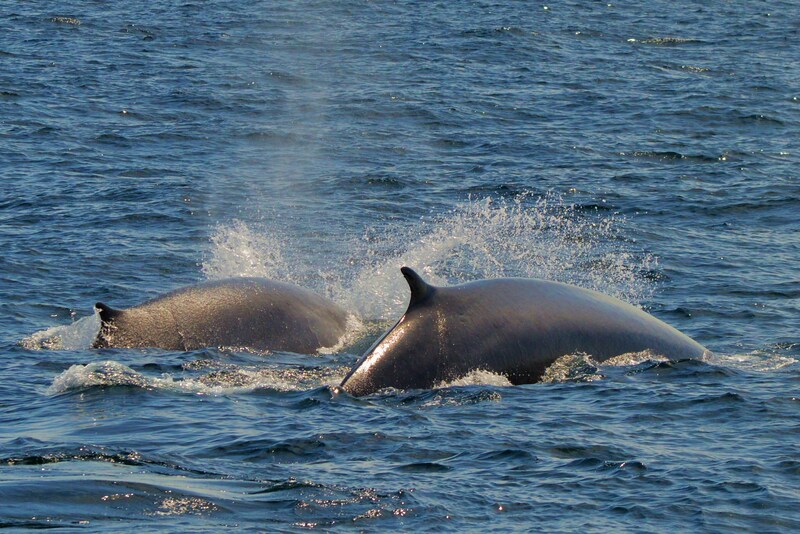 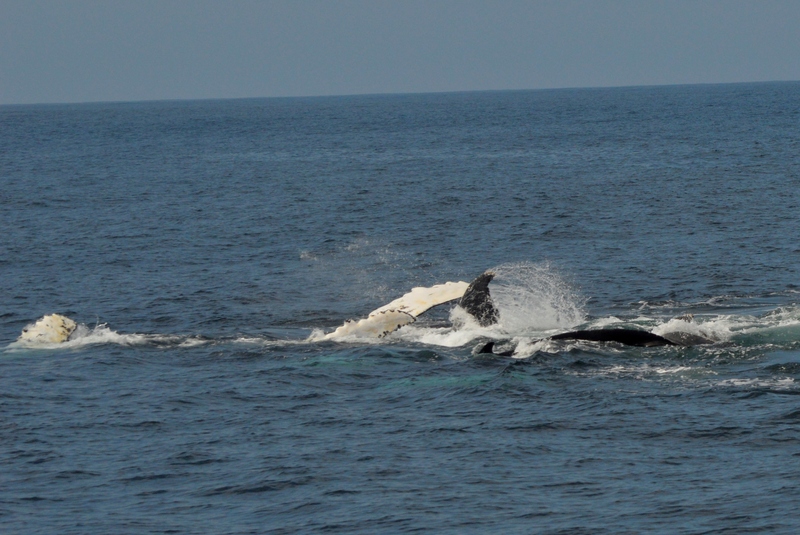 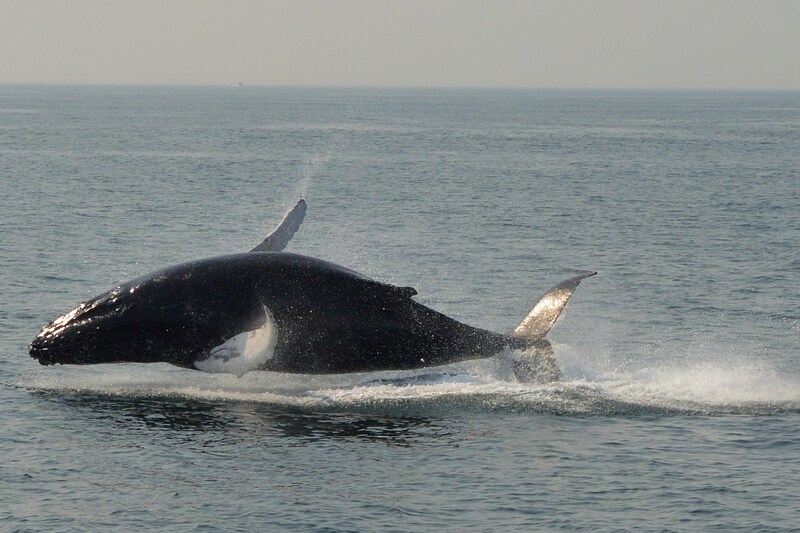 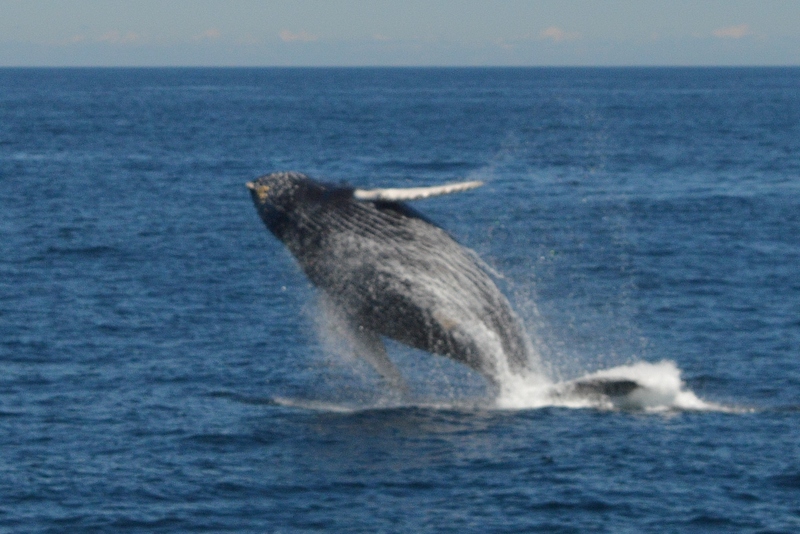 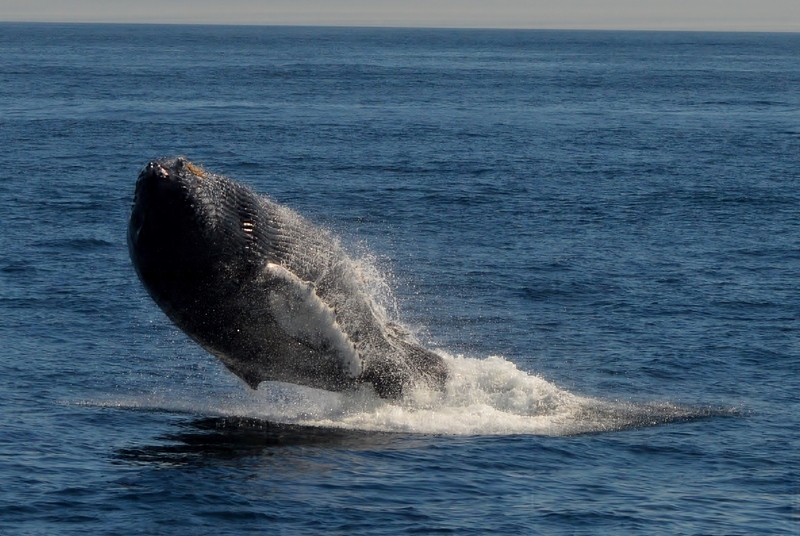 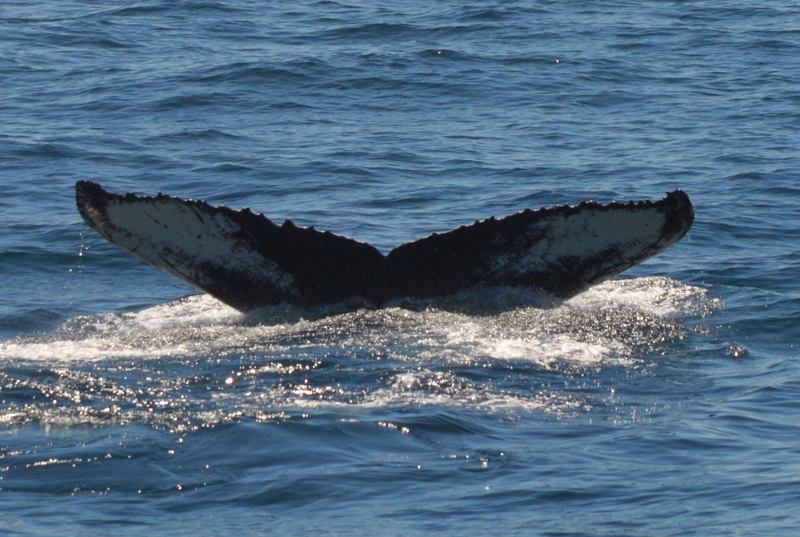 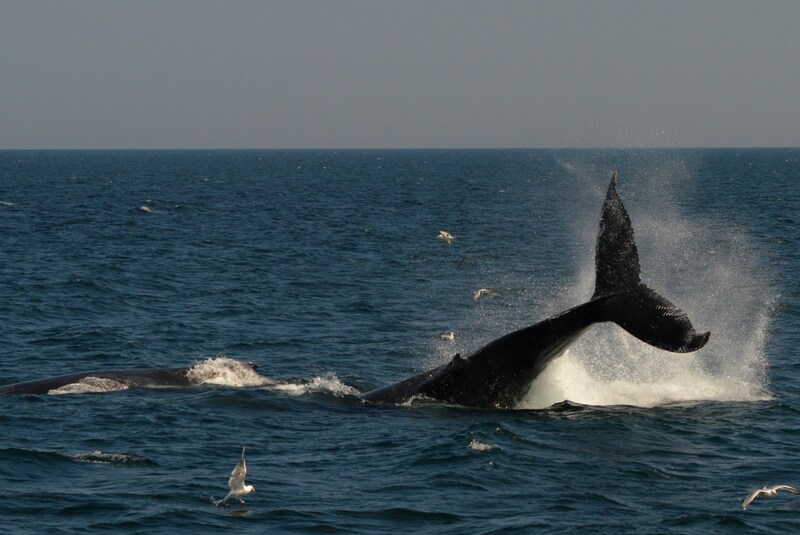 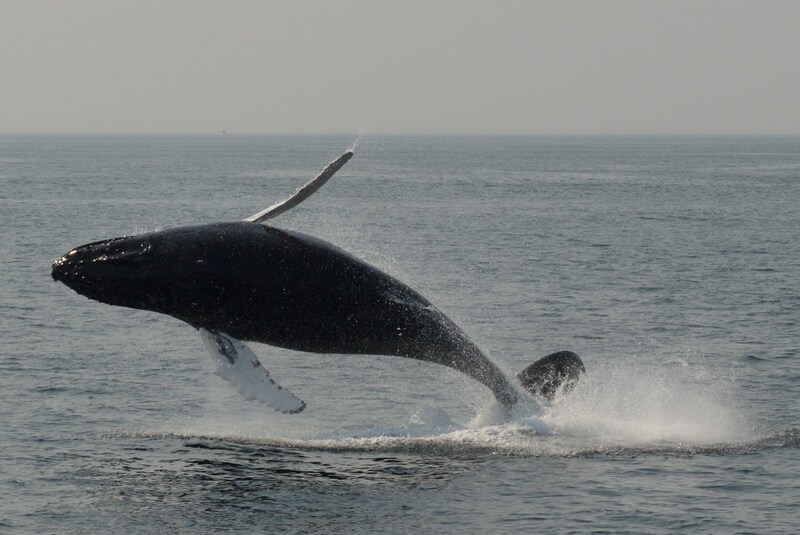 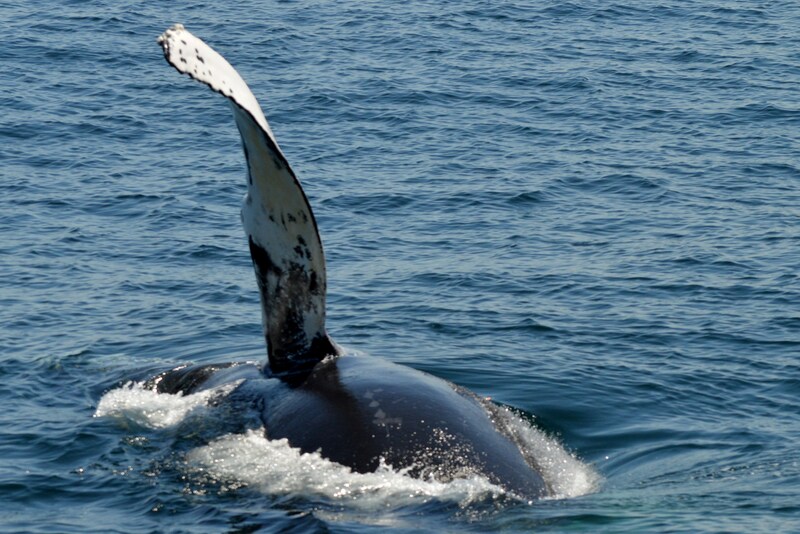 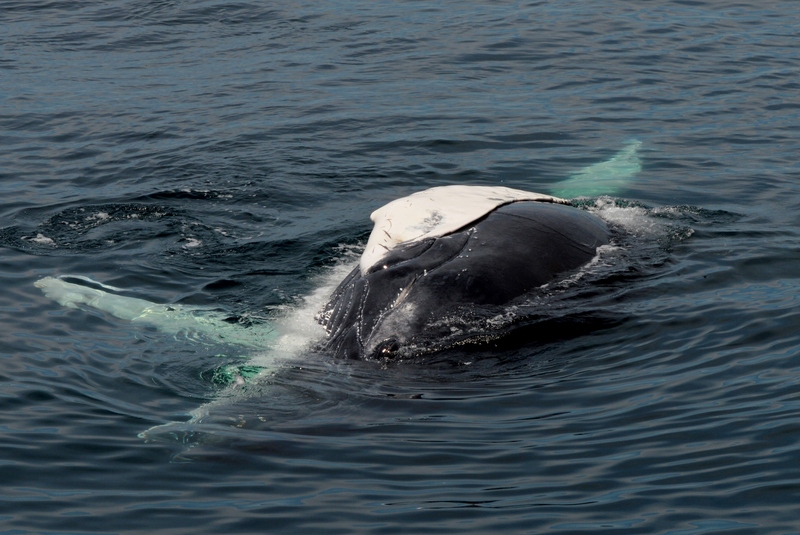 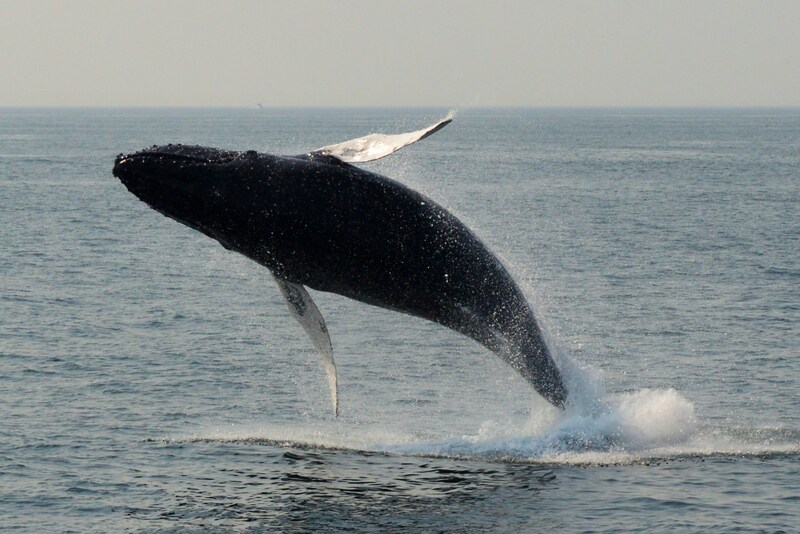 There have been a number of individual humpbacks sighted, including whales that haven’t been found to frequent the area. 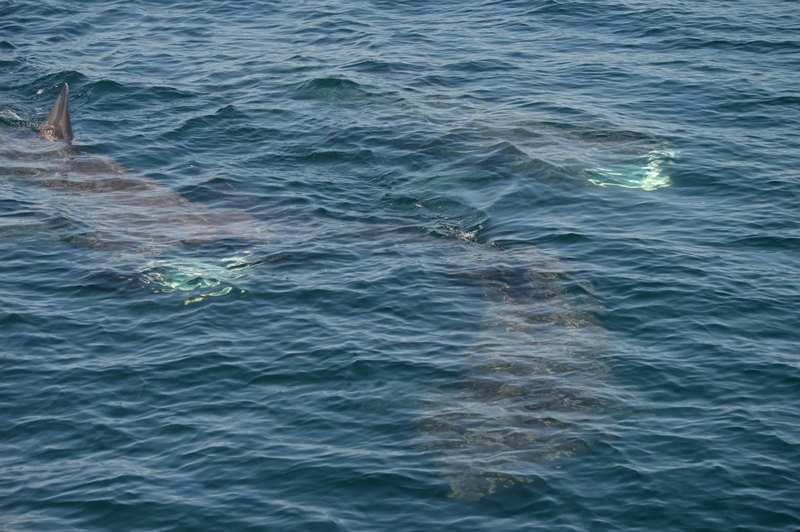 In addition to adults, there have been a number of calves who have arrived with their mothers for the season. 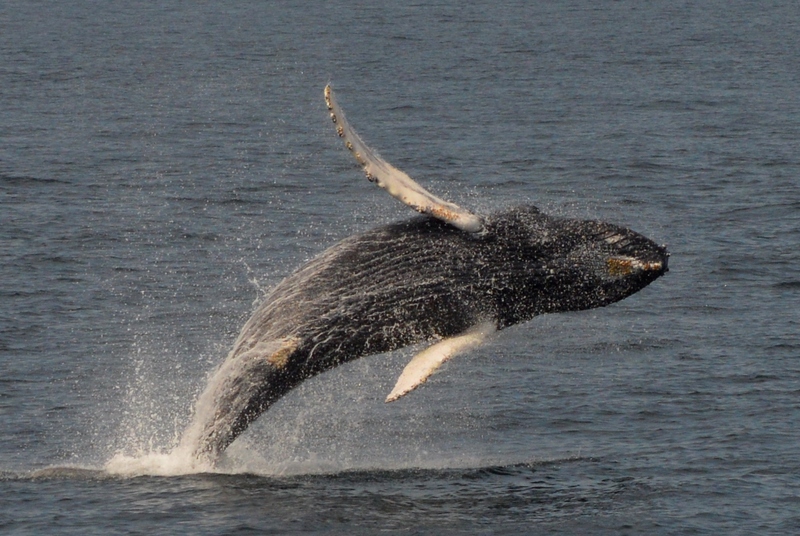 Some of the whales we have spent some time with include Zebra and Rapier and their calves, Tear, Etch-a-Sketch, Pinpoint, Evolution, Glyph, Dancer, Blackbird, Bearclaw, and Geometry. 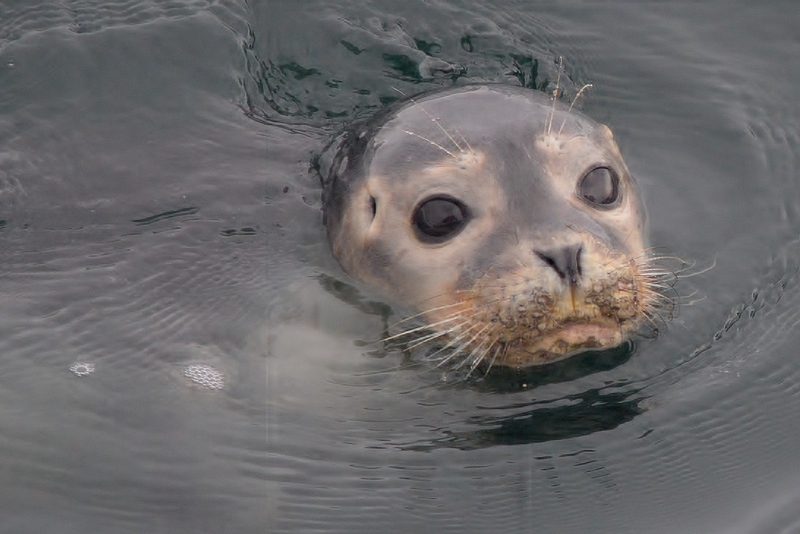 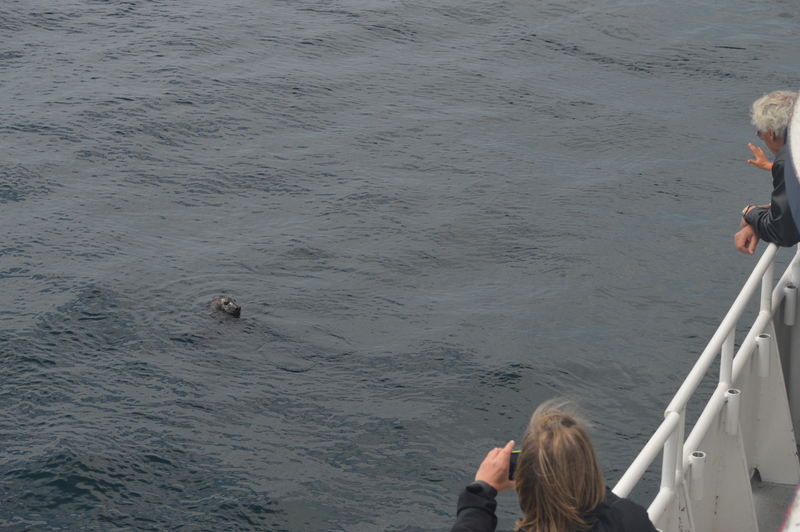 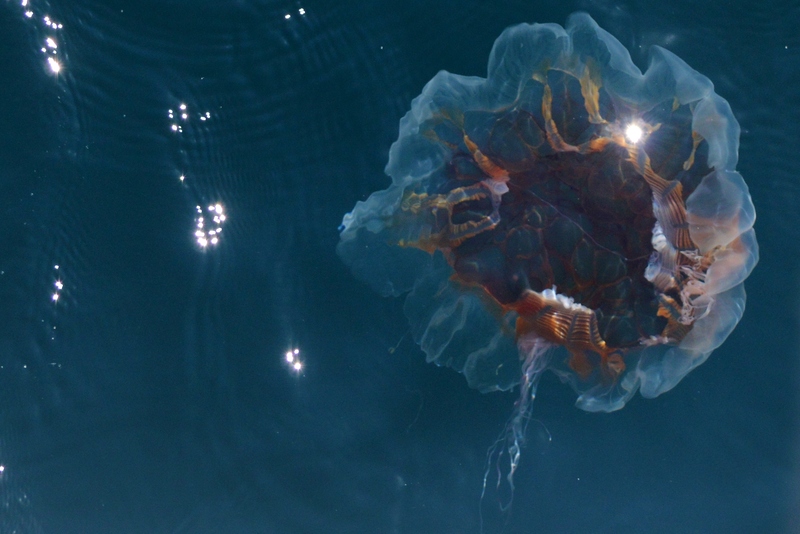 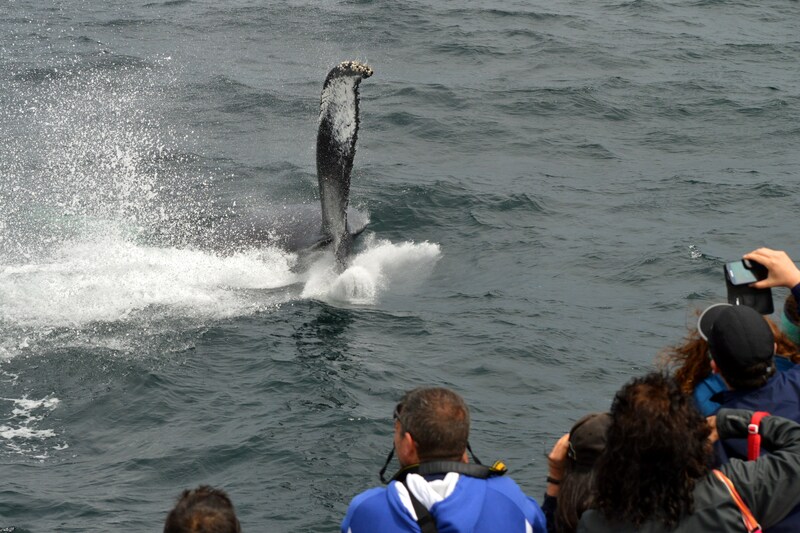 In addition to many hungry whales, we also had a wonderful experience with a curious and playful juvenile. 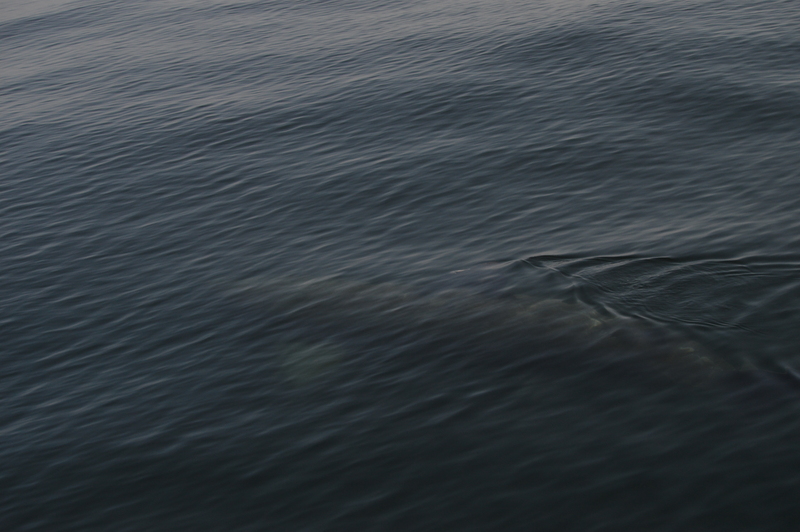 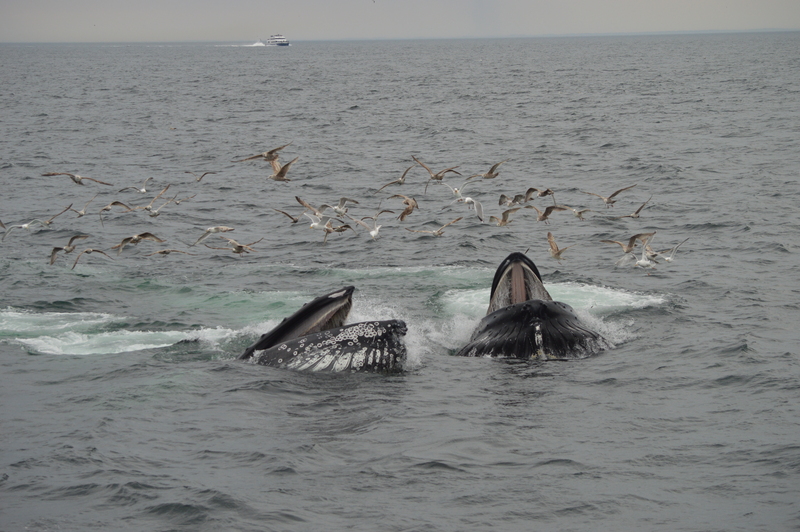 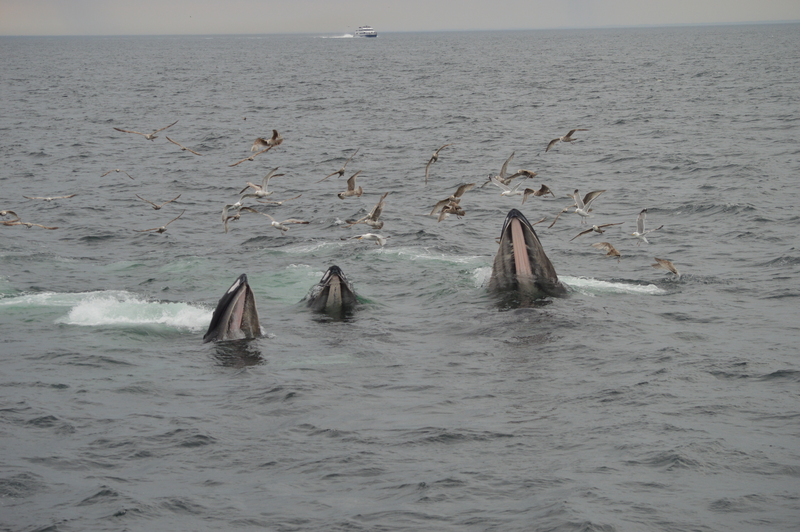 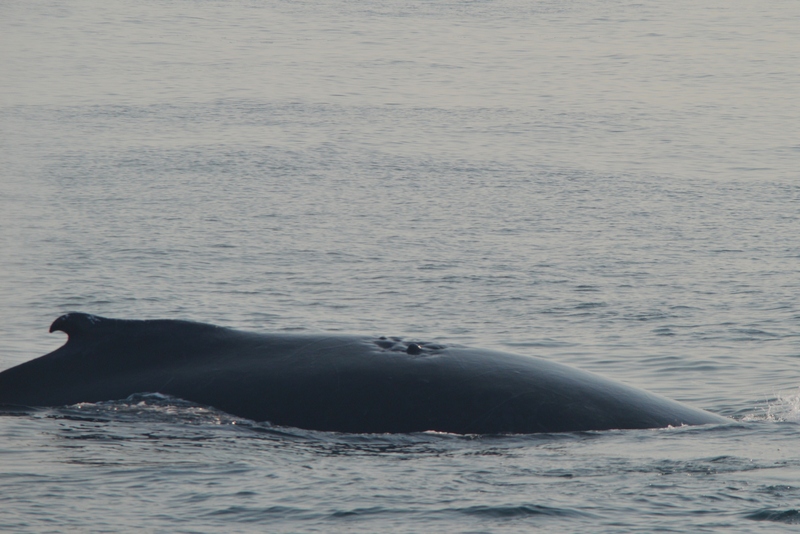 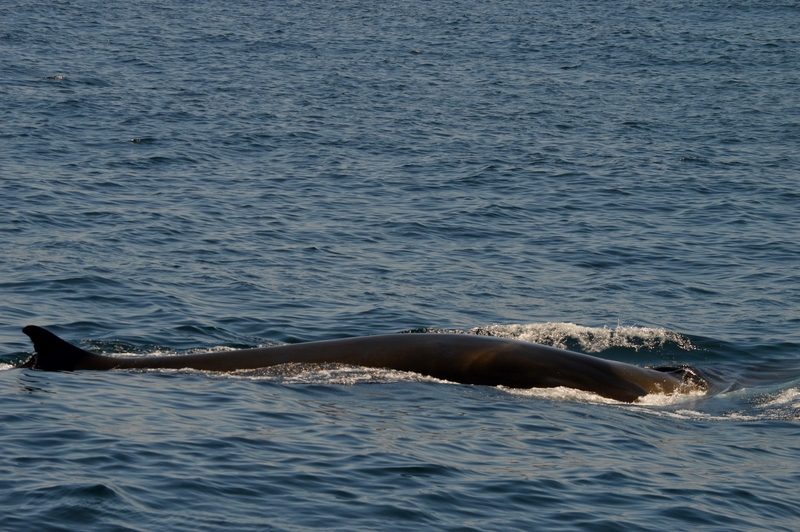 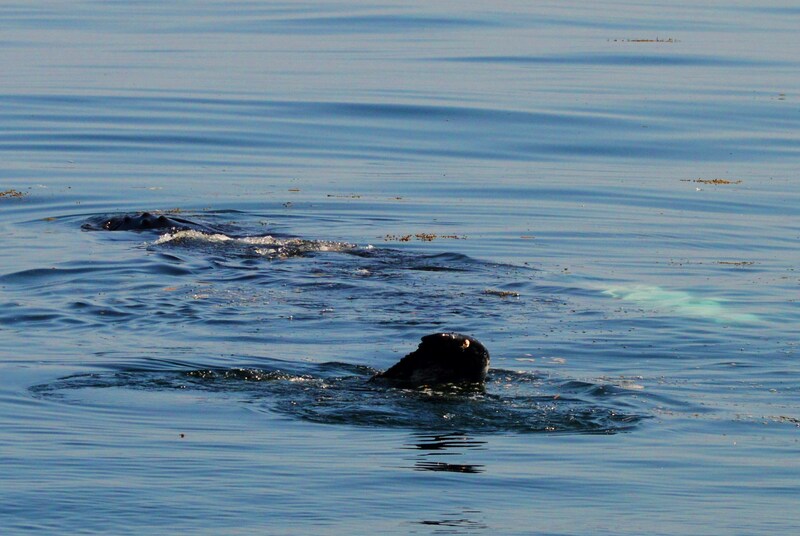 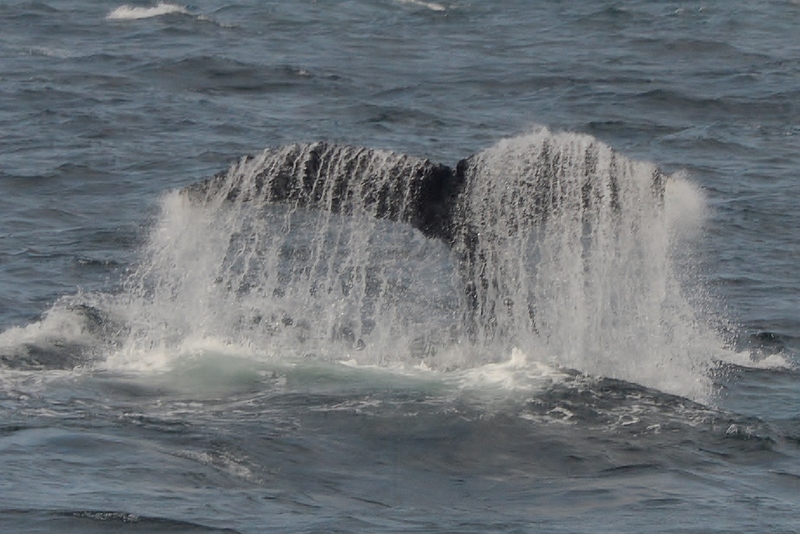 As we approached the whale, it seemed to be lazily moving at the surface. 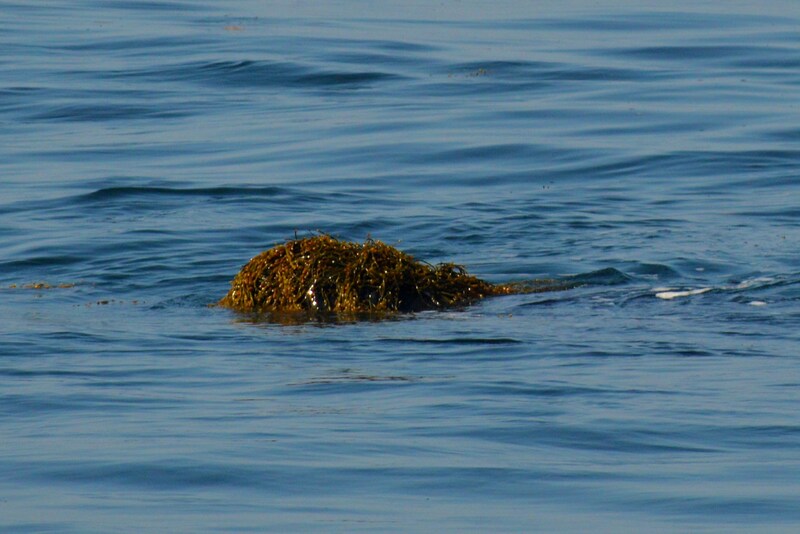 It approached a patch of seaweed and began playing with it, a behavior called kelping, and one we rarely see! 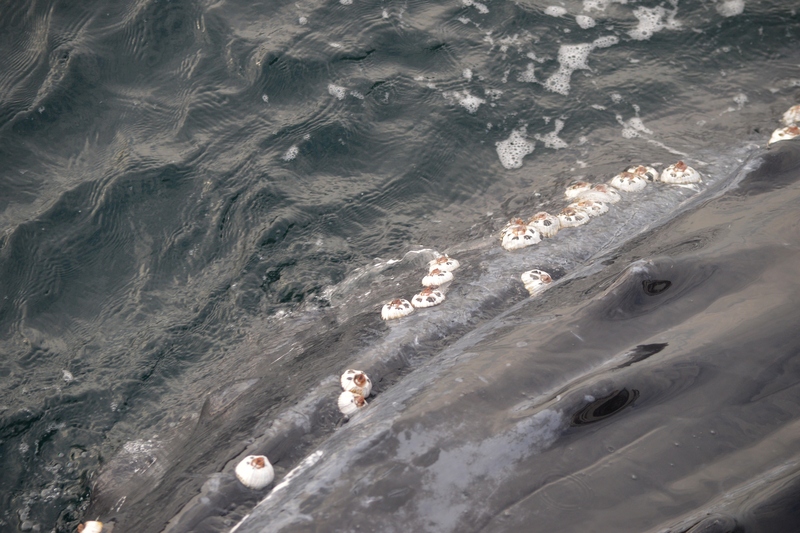 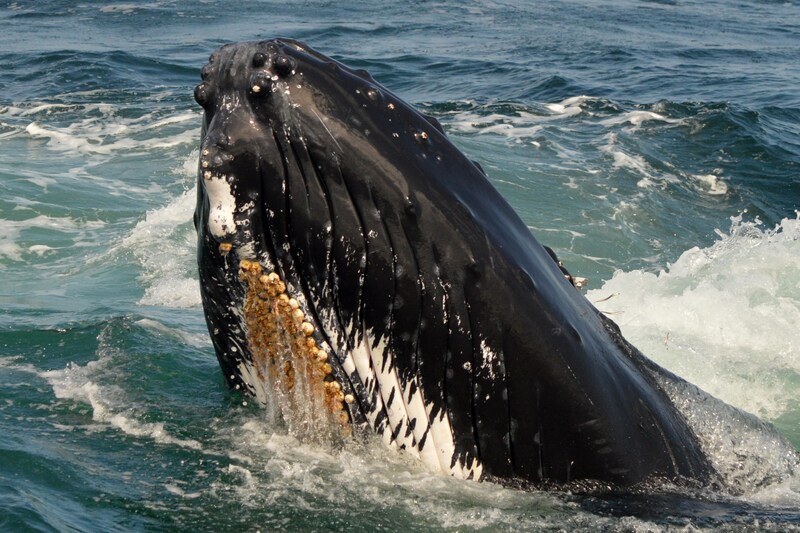 Humpbacks are believed to have sensitivity to touch, especially at the rostrum where we find tubercles that hold hair follicles. 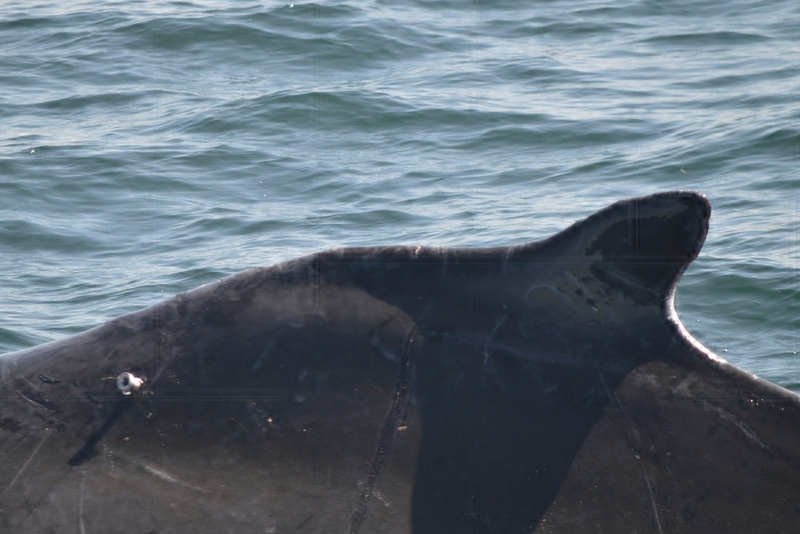 This whale continued to play in the weed until it decided to come check out the boat. 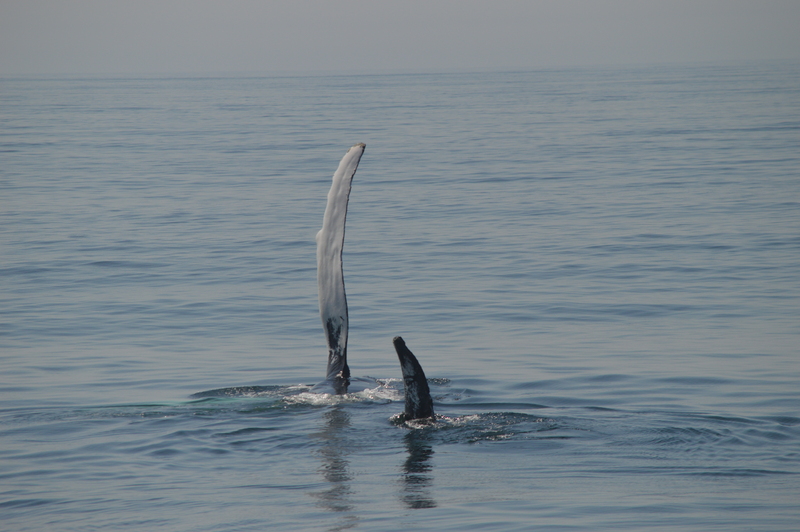 Other sightings include basking sharks, gannets, seals, and a quick peek at a small pod of dolphins swimming among feeding humpbacks. 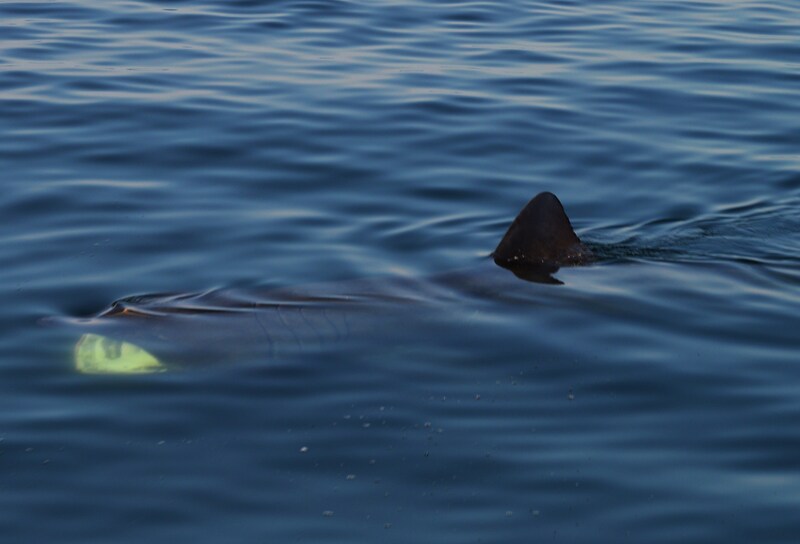 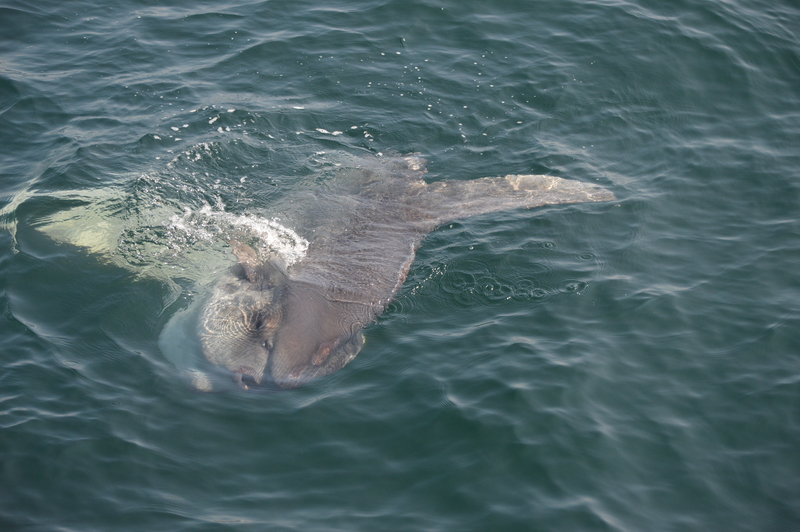 One of three basking sharks we watched in one trip!